I don't go to the cinema very often. In fact, I think the last time I even visited a cinema was when I dragged Myles to see The Fault in our Stars a couple of years ago because I was off work and bored. Bless him, even though he was a too-cool-for-school teenage boy, he still came along (although I had to pay for the tickets and lunch!) This idea of movies bringing together friends and relatives of all ages is the premise behind Gracewell's Night at the Movies campaign. My grandma has been in residential care for a good few years now, so I know just how important it is for families to connect, even when their loved ones move away. As we get older, it can become more difficult to stay in touch, but Gracewell regularly hold events- including movie nights- to encourage the whole family to share experiences. 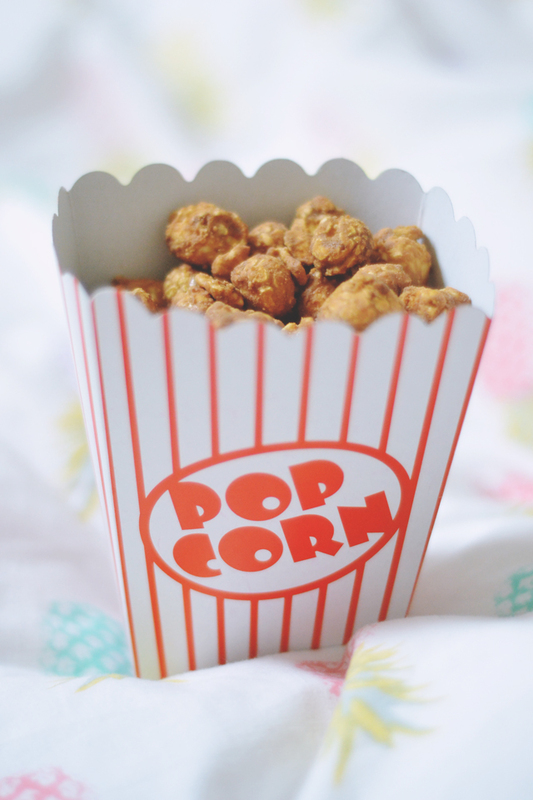 Of course, a movie night isn't a movie night without lots of lovely snacks! This chocolate popcorn, complete with cute little retro box, was so moreish and we devoured the bowl of classic childhood sweets. I'm all about the Refreshers. Nobody else even got a look in! The best bit? Because it was in my living room, I could bring down the duvet and keep my slippers on. That is why I don't go to the cinema much. Who needs sticky armrests and annoying huddles of teenagers when you can all get together in your own home? Gracewell has certainly got the right idea! Movie night in are the best. Yes, you definitely need to watch more Marvel movies! I recommend Guardians of the Galaxy next. 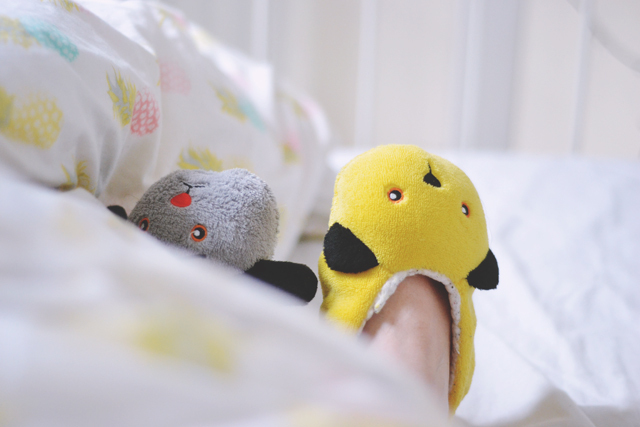 Omg your slippers!! 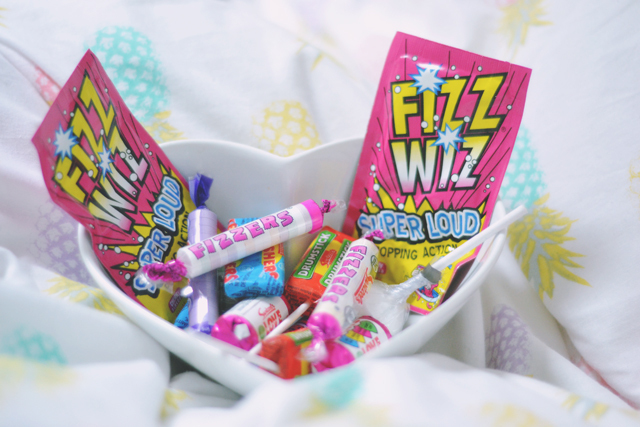 Nothing better than a good movie night with snacks though (I'm all about the refreshers too!) I keep telling myself I need to watch some Marvel films seeing as they're all everyone is talking about at the moment! 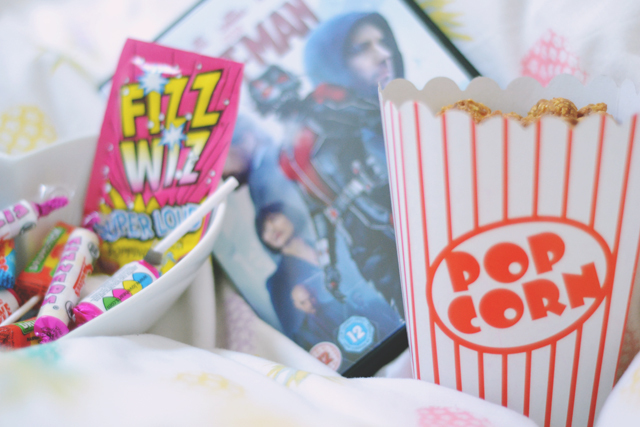 I love cute movie nights, the last time I had one me and my best friend watched 22 Jump Street and got drunk off Blue WKDS, bloody perfect if you ask me! 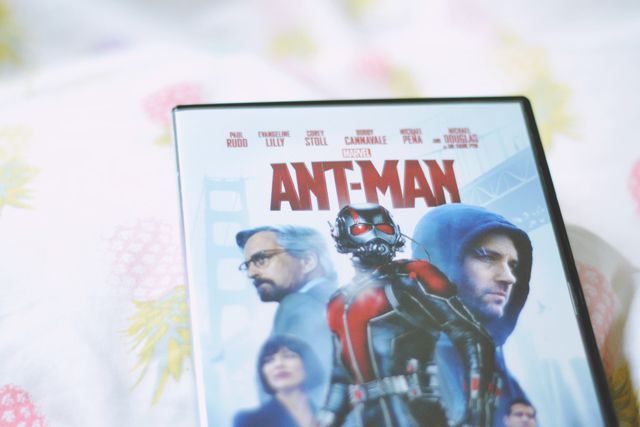 I loved Ant-Man, I was skeptical with it being Paul Rudd but he was fab!